Motivational quote books abound, but where are the volumes of misquotations?! In this era of fake news and fake quotes, The Little Book of Misquotations uncovers the truth behind the 200+ most famous things they never said! 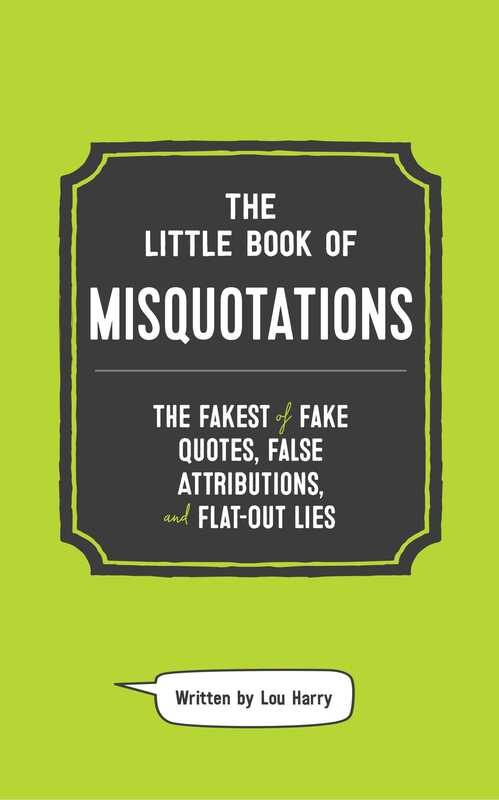 With deep dives on popular yet erroneous quotations from artists, writers, celebrities, scientists, politicians, and legendary figures from around the globe, The Little Book of Misquotations offers addictive reading—and a delightful reminder not to believe everything you read!